In our massages, we treat the skin as though it is a living, breathing organ that expands and contracts, senses and responds, knows as well as remembers, ceaselessly dying as well as becoming. As a result, we have several full service massage packages designed to help stimulate relaxation and healing in your body. At La Casa, our belief is that because the skin and the brain develop from the same embryonic tissue, we should think of the skin as an external brain, one that is exquisitely sensitive to stimulation. When we stimulate the skin through touch, we stimulate brain development. In the infant, touch serves the same function as a mother bear’s licking of her cub; it enhances immune function; it enlivens the bodily systems into action. Touch increases antibody production as well as the production of the growth hormone, the master hormone that regulates all endocrine functions of the body. All of our massages are performed on a therapeutic magnetic pad. This will take you beyond-a-massage massage, you lay comfortably atop a magnetized pad – 5 gauss of magnets. The human body is electro-magnetic by design; it is composed largely of charged particles such as atoms, electrons, protons, and ions. Increasing the geomagnetic field of the body acts as a catalyst to improve chemical reactions occurring in the body. This, then, improves all body functions, including oxygen carrying capacity. 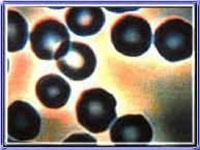 Note the clumping of red blood cells, typical of stress, health problems or fatigue. Fatigue is normally experienced by everyone at the end of the day and can be explained simplistically as “loss of charge” on body cells. Over the last 165 years, scientists have measured the Earth’s magnetic field and recorded a decline of its strength. Today the magnetic field of the Earth is measured at 0.5 gauss, yet it is estimated that the field of the Earth 4,000 years ago was 2.5 gauss. This represents a decrease of 80%. Dr. Kyoichi Nakagawa is considered the founder of modern magnetic research in relation to health. He studied the effects of this loss of earth’s magnetism on human health. He coined the term “Magnetic Field Deficiency Syndrome” (MFDS) indicating that Earth’s diminished magnetic field caused people to suffer symptoms such as fatigue, insomnia, generalized aches and pains. His study further showed that supplementation with magnets brought symptomatic relief. Our North American versions of Chronic Fatigue Syndrome and Fibromyalgia seem to correlate very closely with Dr. Nakagawa’s MFDS and, these conditions have been shown to respond well to magnetism. The stories of people being helped by magnet therapy are countless. Treat your hardworking legs to sheer pleasure. Slip on our compression wrap leg-sleeves for a 30-minute air-pressurized service that will help to relieve muscle pain and joint inflammation. Give all leg muscles a good workout while you are utterly relaxed. This is what they use in hospitals for bedridden patients to keep muscle tonality, blood flowing and lymphatic drainage. Oxygenates; increases circulation, aids in reducing cellulite; stimulates lymphatic drainage. A great way to begin another full-hour hands-on massage–with a pre-massage. Almost as good as a real massage. Our signature massage eases tension, aches & pains with techniques customized to your body’s specific needs. Uses effleurage, kneading, friction & vibration strokes. Calms nervous system. Feel relaxed & renewed. Combine touch with alluring scents. A blended synergy of warmed citrus oils – orange, mandarin, & grapefruit – are released over the body & accompanied by hot towels infused with essential oils to relieve tired & achy muscles. Citrus oil aids in collagen & elastin production for smoother skin. Intense working of tension spots in muscles and tissue. Various massage techniques are used including deep tissue. Recharges your body & brings clarity to your mind. Cellusage™ is a radical, effective approach to the cellulite problem. We at La Casa have integrated the best and latest medical and scientific findings of the cause of cellulite. What separates our treatment from other therapies is our understanding that cellulite is not a “fat” problem, as is commonly thought, but is rather, a “fascia” problem. Thus, our approach is entirely different. Fascia is the ubiquitous connective tissue that forms a latticework structure within the body, from the top of your head to the bottoms of your feet. It fills every nook and cranny within the body that it can find; it even covers the brain. Fascia is what gives shape to the body. Fascia does its duty as connective tissue by connecting all things to all other things (organs, bones, veins, arteries, muscles, skin). It is a three-dimensional stability system that surrounds, supports, and protects everything inside. Healthy fascia enables us to live joyfully without chronic pain. But, fascia gets easily tangled, and when that happens, it causes massive disruption biochemically, neurologically and structurally. When fascia is tight, it forms what are called adhesions, places where tissue sticks abnormally together. These adhesions pull down on the fascial sheath below the skin. Fascial adhesions look like a chain link fence. When fat happens to be nearby (not an unusual occurrence since fat cells are found beneath the skin throughout the body, around the internal organs, in bone marrow, inter-muscular, and in the breast), it pushes through the fascia like giant marshmallows (or huge globs of silly putty) pushing through a chain link fence. Tight fascia can lead to tight joints, and is often a pre-curser to strains, ligament and tendon problems, chronic back pain, swelling, and limited range of motion. A common causative factor in headaches and other body aches is tangled, tight fascia. The ensuing pain robs us of our vitality and energy. If you are a woman and have cellulite (90% of women do), your fascia is calling for attention. If you are a man, it is unlikely you have cellulite (only 10% of men have cellulite) because male fat cells lie differently (flatter and horizontal) than women’s fat cells (lumpy and vertical). Women’s cellulite/fascia problems bulge out from the skin; men’s don’t. But lack of visible cellulite doesn’t mean you don’t have a fascia problem. Whether you are a man or a woman, if you have pain, it is likely that you have a fascia problem. Because cellulite has been traditionally thought of as a non-dangerous condition, it has not garnered much respect or interest within the medical community. Instead, the beauty industry has co-opted the concern. Although the manifestation of cellulite is an unsightly look of the skin—lumpy, dimply, dented skin, usually in the legs and buttocks, but it can also appear in the arms—the process of the development of cellulite and the over-all health implications of it have not been adequately understood until recently. Contrary to medical thought on cellulite, a few clinicians and practitioners now understand cellulite to be, by no means, an innocuous cosmetic condition without ramifications for over-all health. To the contrary, they see it as reflecting an underlying bodily disturbance that demands serious attention, because without correction, it leads to many other health disturbances, and much pain, for both men and women. From new medical understandings about the important role and function of fascia in over-all health, as well as from consultations with clinicians who have worked successfully with fascia, we have developed the Cellusage™ treatment. It is a comprehensive, 6-step approach that tackles the problem on the cellular level, and has proven to be highly effective at both alleviating pain as well as reducing cellulite. 1) We begin the therapy with our Whole Body Vibration (WBV). This has the effect of stimulating, activating, and energizing muscle, bone, fascia, and all else in the body. Some call it the “jiggle” machine because, indeed, you will feel like your whole body is shaking, rattling and rolling. 2) We administer both visible (Light Emitting Diodes: LED) and invisible (Infrared: IR) lights specifically designed to address cellulite. With cellulite, there is a breakdown in both elastin and collagen. IR stimulates the fibroblasts that produce collagen, which gives young skin its plump look. Both LED and IR light encourage the mitochondria, the powerhouse of the cell, to create faster new skin turnover, forming a new layer of healthy, youthful cells to replace damaged or older cells. 3) We begin the process of untangling intertwined fascia through the use of our Magnetic Oscillator (sometimes referred to as a Thumper). The best description of this part of the therapy is that we are taking an ingenious device, developed especially for La Casa, that bears some resemblance to a gentle jack-hammer for human tissue. But it doesn’t hurt. It feels quite wonderful. Our Oscillator has north field magnets embedded within it. North Field magnets have been shown to reduce inflammation, increase cellular oxygen, reduce fluid retention, and reduce fatty deposit. Reduces inflammation: Inflammation is accompanied by swelling and retention of fluids. Intercellular edema (swelling within the cell) is reduced when North Pole magnetic energy is introduced. This has the effect of normalizing the action of the sodium/potassium pump, getting the sodium out of the cell and the potassium in it (as it should be). The excess fluid is then carried away by the blood and lymph. Oxygenates the cells: Since all of our cells are essentially weak magnets containing both a positive and negative charge, the cell assumes the polarity of the magnetic field around it. The counterclockwise spin of North Pole energy pulls oxygen into the cell. Aids in Reducing and Dissolving Fatty Deposits: The North Pole magnetic energy is alkaline and therefore neutralizes the acid in fatty tissue, thereby dissolving the substance. Aids in Reducing Fat & Calcium in the Circulatory System: Along with the neutralization of fatty deposits, the increased cellular activity further stimulates movement of the hemoglobin in the blood vessels, thus decreasing deposits in them. 5) We then heat you up to prepare you for the next part of the therapy. You will relax in NYC’s only infrared/salt sauna, combining two powerful therapies in one fell swoop. Breathing in salt particles is fabulous for the respiratory system. The infrared further encourages the mitochondria to do their all-important thing. Most importantly for our purposes here: heat facilitates the break-up of the tangled fascia when pressure is applied, and pressure is what comes next. 6) Pressure is applied with Ashley Black’s unique instrument called the FasciaBlaster®. When fascia is tight with adhesions, blood flow is restricted. Blood flow is blocked. Nerve signals, too, from brain to muscle, are restricted, resulting in less muscle strength. Because many anti-aging products, and specifically Accutane and St. John’s Wort, are especially light sensitive, we cannot do Cellusage™ on anyone who is using these substances. Double your relaxation after any massage with 15 minutes on our Bio Mat. Its far-infrared heat and negative ions alkalize the body, oxygenate the cells, and increase circulation, augmenting all that has already been achieved through the massage, stabilizing the benefits accrued from the massage.